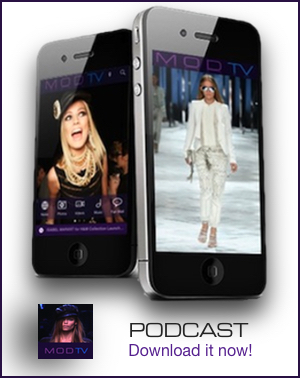 By: Team MODTV on Feb 10, 2011, 12:57. Prabal Gurung’s collection is just over a year-and-a-half old, but he designs like a master. The New York designer launched his first collection in February 2009 to rave reviews and won the Eco Domani 2010 Fashion Fund award and then was selected as a finalist for the 2010 CFDA/Vogue Fashion Fund Award. He’s hot and one of the designers to watch at New York’s Fall 2011 collections. His show takes place on Saturday, February 12 at 12 noon. Prabal was born in Singapore and raised in Kathmandu, Napal and he spent time working in London before moving to New York and working with Bill Blass and Donna Karan. He brings an international sophisticated level of taste to his collections and he’s known as a perfectionist. Prabal loves women and thinks beauty with brains is what counts. His attention to detail has made everyone from First Lady Michele Obama, Oprah Winfrey and Demi Moore a major fan of the designer. 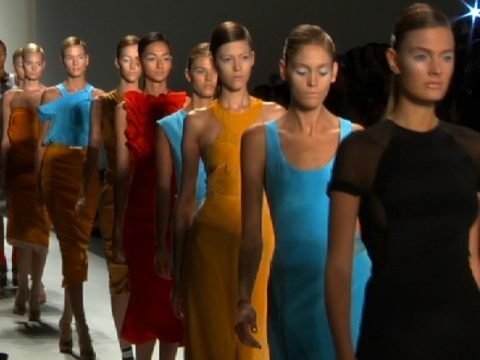 We went backstage at Prabal Gurung’s Spring 2011 Collection and talked to him about what makes him passionate about fashion. Watch our exclusive fashion video.